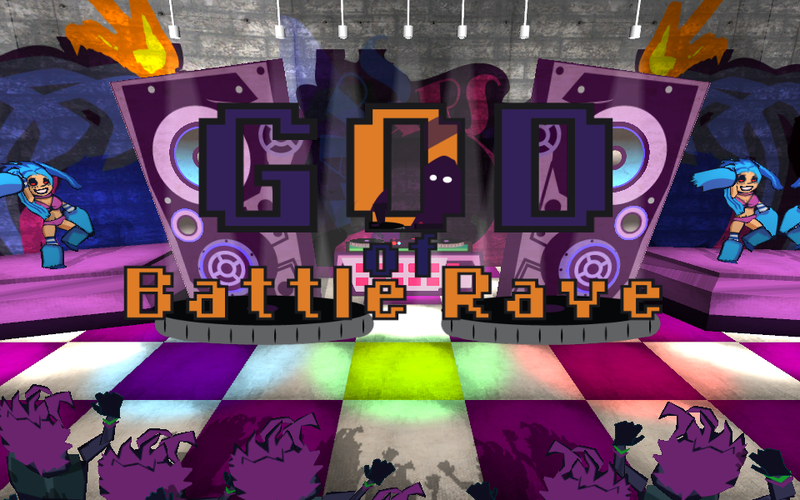 God of Battle Rave is an entry in the 1st ever Robot Dice Baltimore Indie Game Jam. The name of the game was randomly generated. The jam runs from October 19 - November 19, 2013. Lars Ragarr, God of Battle Rave, Ruler of the Rage Clan and King of the Dance Floor, is not to be outpartied. Lars excels at the only two things that matter in the realm of Battle Rave: Battling and Raving. Since the dawn of electronic music, if ravers have raved, Lars has been there to assert his dominance as the ultimate party machine. 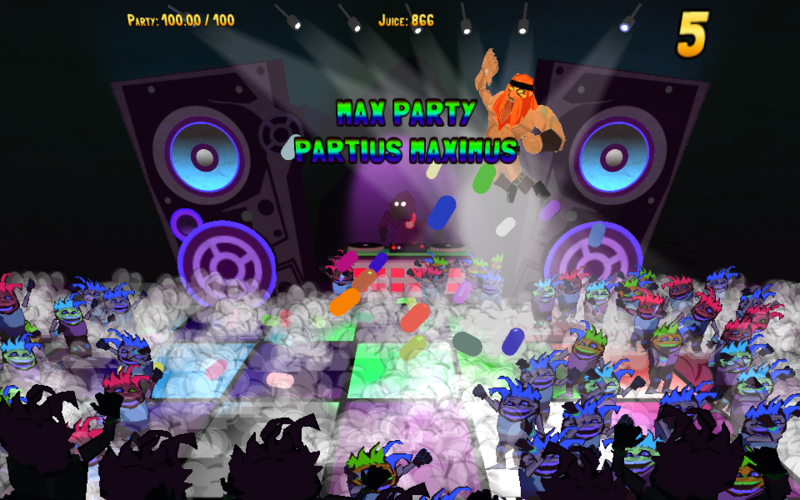 Play as Lars and fend off wave-after-wave of puny ravers with a plethora of raver-smashing attacks. Ravers will try to dance and damage the speakers -- don't let them. Collect glowsticks to raise Lars' party prowess. When Lars is fully amped up, activate Party Power and behold Lars' divine devastation. When the dance floor is cleared, swing the party in Lars' favor by unleashing his dizzying array of devastating dance moves. Move to the beat -- change directions with each bass beat to score dance points. Listen for the bass and watch for when the bass speakers are largest to time your movements. This music video was inspired by the music for the game. Music by Drew Swinburne.